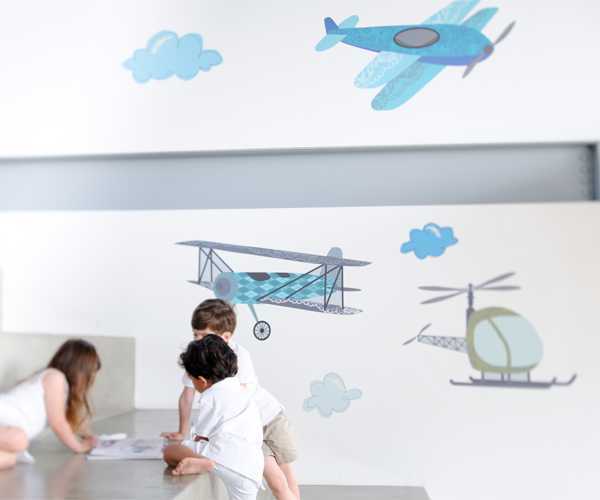 This beautiful brand continues to sweep us off our feet with each new collection of fabric wall decals. And because it’s currently warm in the northern hemisphere, this latest collection has a distinctly summery feel. 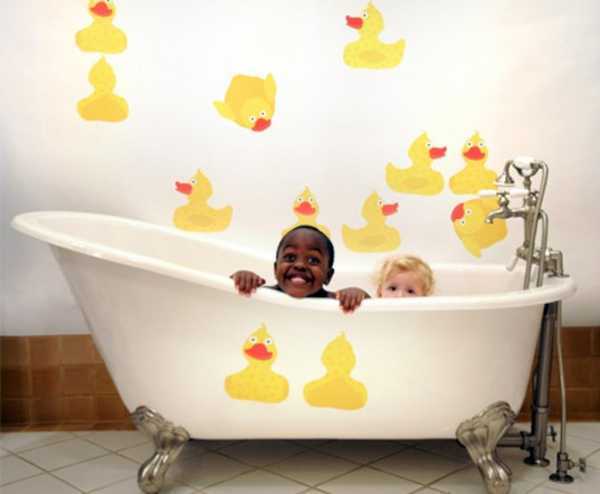 The summer 2013 collection of oversized fabric wall decals from Pop & Lolli is everything you would expect – bright, bubbly and just the ticket to lift the spirits in any child’s space. The latest collection has nineteen new designs, ranging in price from US$67 to US$217. The Cultural World Map (at the top of the post) is a show stopper and fabulous for a family of jetsetters. The Fancy Flight decal (US$217) might depict fast machines, but the calming tones make it perfectly at home in a bedroom. 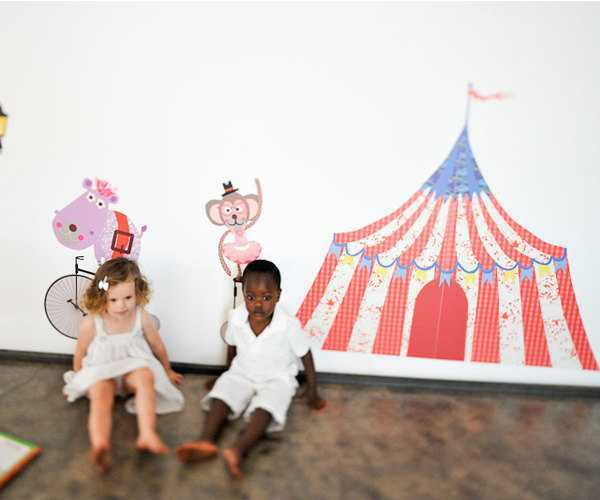 And if your place is a bit of a circus, the Big Top decal would be perfect! It costs US$87. As with all of the Pop & Lolli decals, the latest range is child safe, biodegradable, eco-friendly, removable and reusable. There’s also a great mix and match element running through the collection. Purchase the collection directly from Pop & Lolli, which ships to Australia.